great fun on Lake LBJ! 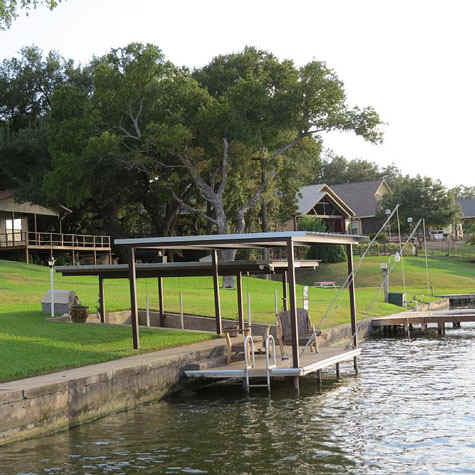 This spectacular waterfront lake house is located on some of the best water on Lake LBJ. 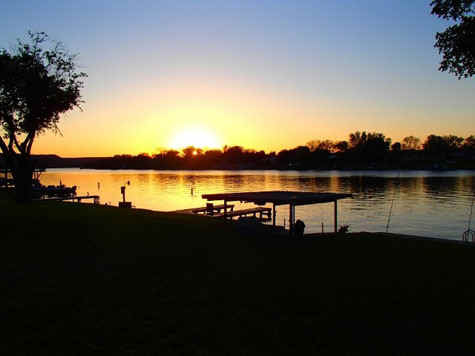 Lake LBJ is one of the prettiest and largest normally constant-level lakes in the United States. 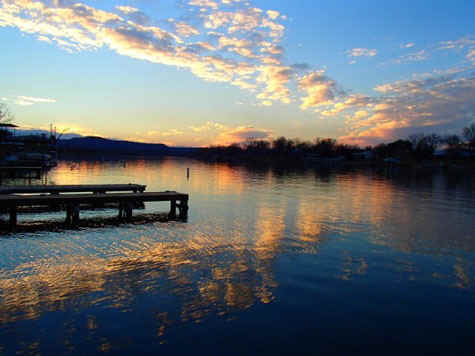 While other lakes' water levels drop during a drought, Lake LBJ stays full and beautiful. 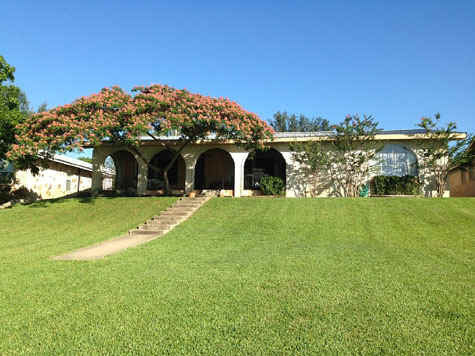 The Hacienda on Lake LBJ is conveniently located in Kingsland, Texas, one hour northwest of Austin, 90 minutes north of San Antonio, 3.5 hours south of Dallas, and 4.5 hours west of Houston. 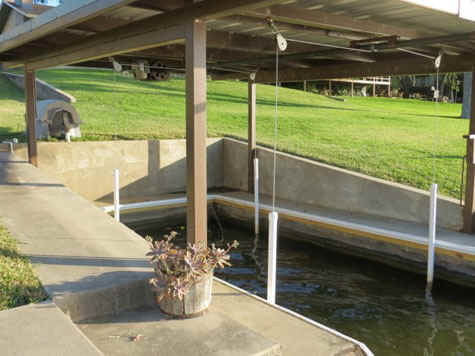 The boat dock has an electric lift for a boat. A jet-ski or a boat can also safely tie up at the dock using the mooring whips. 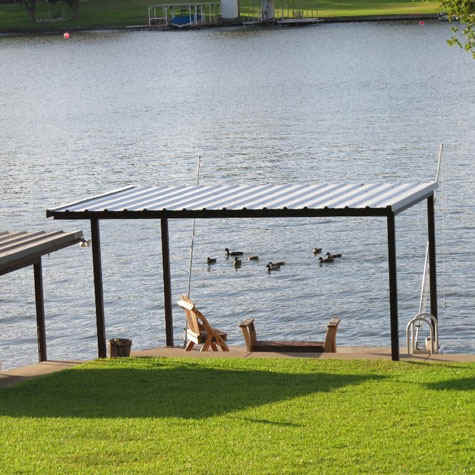 The deck for fishing and swimming has a swimming ladder. 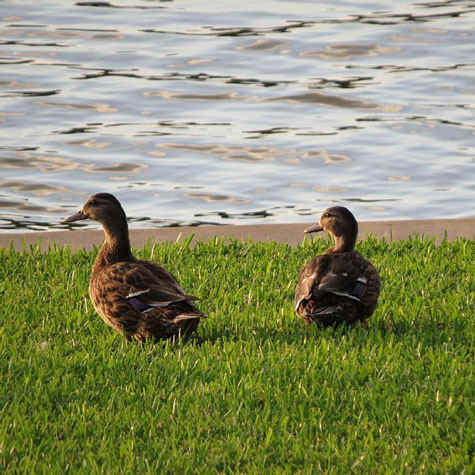 The sandy bottom of Lake LBJ at the Hacienda is ideal for swimming and wading. The water is shallow enough near the shore (about 2 1/2 feet deep) for children to wade. 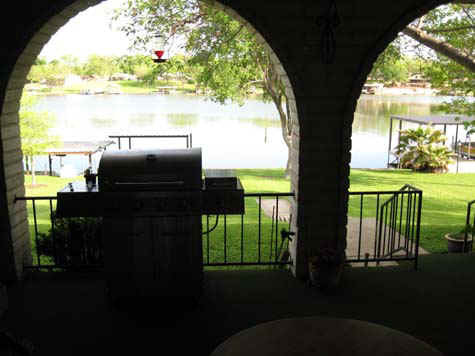 The water at this location on the Llano Arm of Lake LBJ is ideal for boating, jetskiing, waterskiing and swimming. The fishing is really good here with bass, white bass, perch, catfish, crappie, etc. 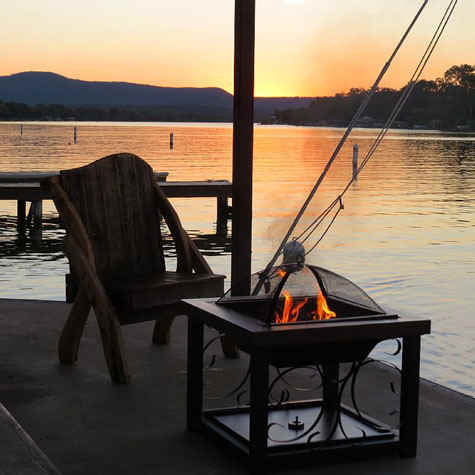 Enjoy the cool, relaxing evenings year-round with the firepit to keep you warm. Sunsets over Lake LBJ can be awesome! 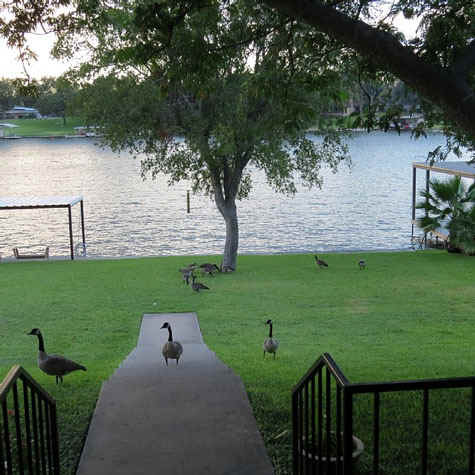 Guests have a lot of fun feeding the geese and ducks at the lake house. Dog food is one of their favorite treats. 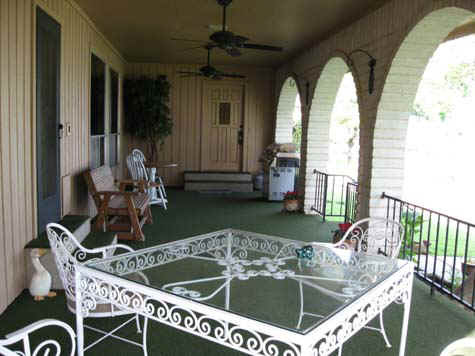 Vacationers love the view from the covered back porch walkway to the shore. 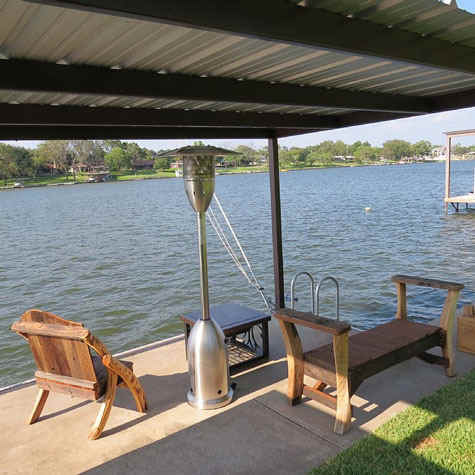 There is plenty of seating on the porch to enjoy watching the boats, wake-boarders, jet-skies, and waterskiers go by. It has a table with 4 chairs, a glider, 2 more chairs for seating up to 8 people. 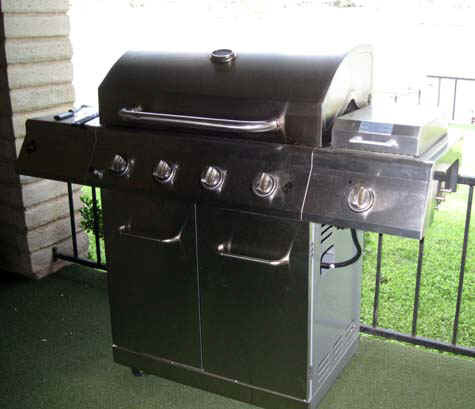 The cooks in your group will appreciate this barbeque on the covered porch. 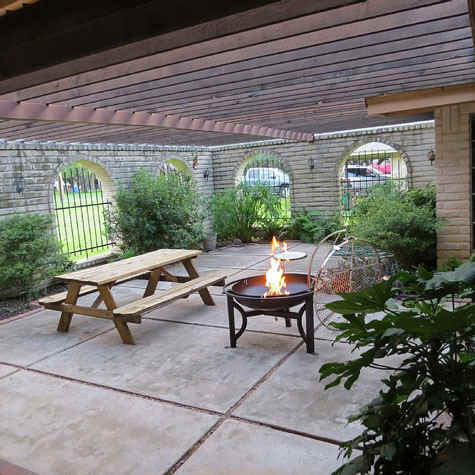 Your family and friends will enjoy Hacienda's large front patio courtyard with its Tuscany look and feel. The courtyard is ideal for large gatherings. 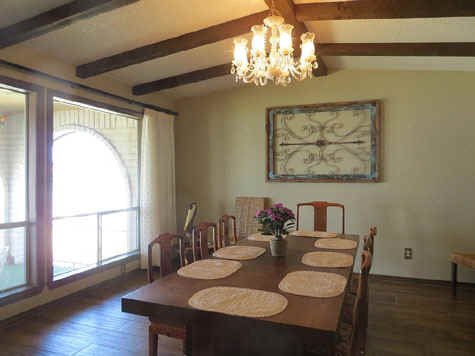 The Hacienda has plenty of room for your group with 2,849 square feet. 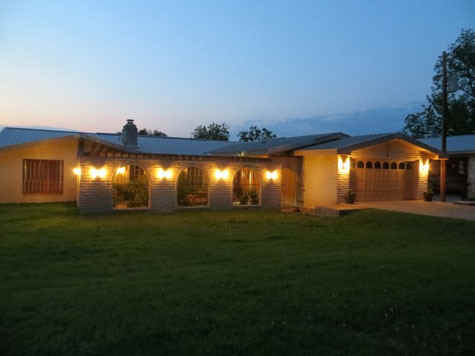 There are 2 large living areas, 4 bedrooms and 2.5 baths. 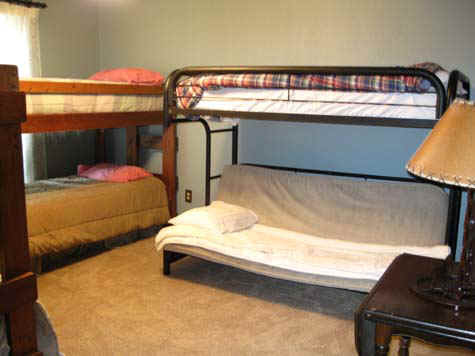 14 people can sleep on beds: 2 king-sized beds, 2 double beds, a sleeper sofa/futon bed, and 2 bunk beds. 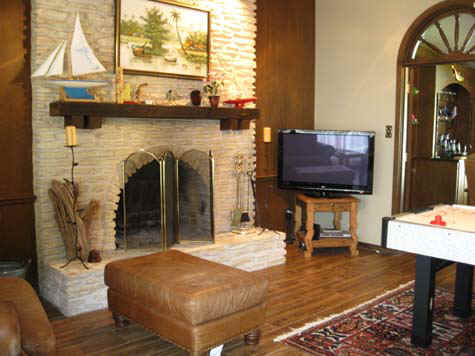 The attractive living room has a beamed ceiling, arched doorways and beautiful wood floors. 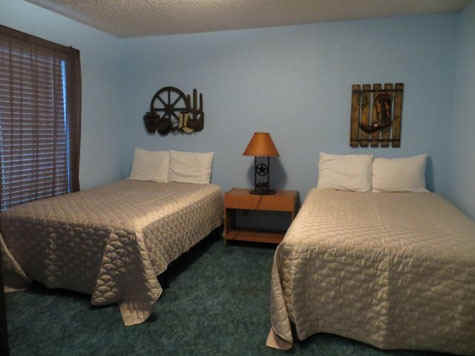 It is a very comfortable room for visiting with friends and relatives after an active day at the lake. This living room has a great view of the water. 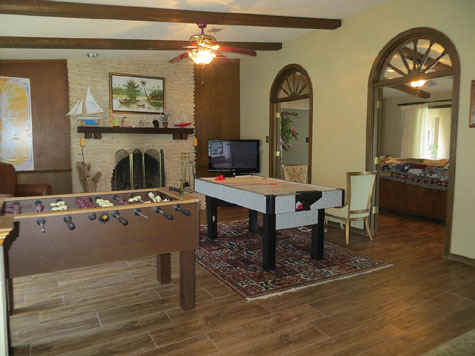 The second living area doubles as a game room with games, flat screen TV, fireplace, love seat and 2 chairs. The large dining room table seats 8 and looks out onto the courtyard through large windows. 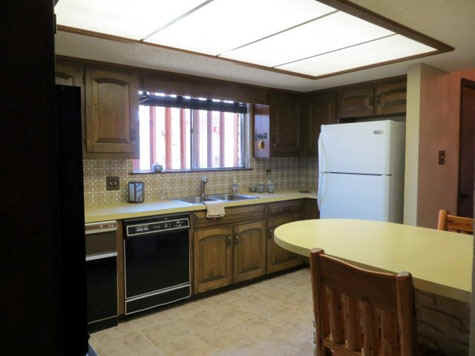 The Hacienda kitchen has all of the modern conveniences, including a dishwasher and a microwave. It comes completely supplied. All you need to bring are your food and drinks. The master bedroom has it own bath, a separate dressing area and a king-sized bed. It has a fantastic view of the lake. 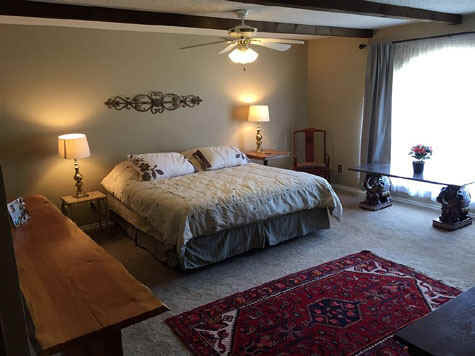 The master bedroom also has second entrance, a private entrance to the covered porch overlooking the lake. The 2nd bedroom has 2 double beds. 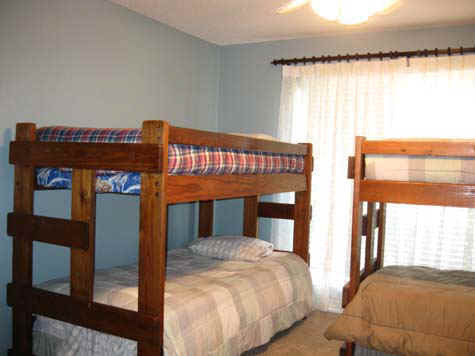 The 3rd bedroom sleeps 6 total with 2 bunk beds and a futon bunk bed with a double bed below and a twin bed on top. The 4th bedroom has a king-sized bed and overlooks the courtyard. 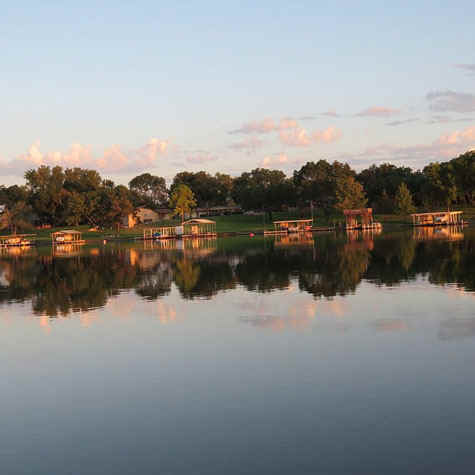 Lake LBJ is a normally constant-level lake for the best conditions for water activities. Boat dock with electric boat lift and whips for jet-skis and a second boat. Only an hour northwest of Austin, 90 minutes north of San Antonio, 3 1/2 hours south of Dallas/Ft. Worth and 4 1/2 hours west of Houston. Dine out at local restaurants in local towns. All types of food: Chinese, Italian, Mexican, barbeque, fast food, etc. Play golf at one of the several local golf courses. Special Weekly rates are available. 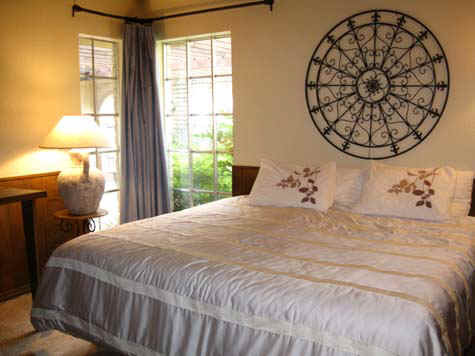 Ask about our Special Winter Rates from $225 per night. 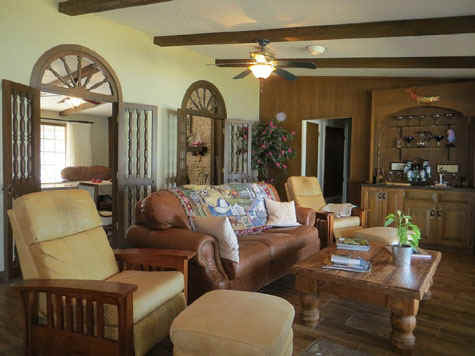 Winter Texans: Contact us about long term rentals in the winter months.